In 2016 Pope Francis proposed The Year of Mercy, and it was a motivational trigger. 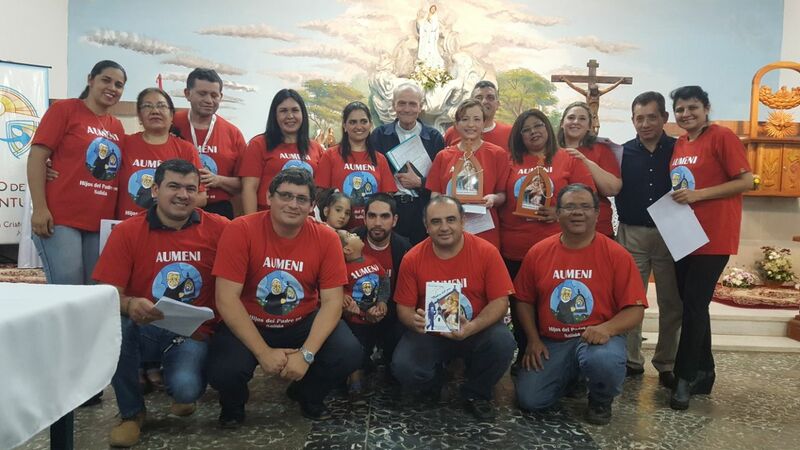 We felt committed to this mission, we wanted to make it real and to experience a Schoenstatt reaching out, as the Father and Founder had asked. For this reason, every month, since January 2017, the group has visited places where help is needed, where God’s mercy is needed. 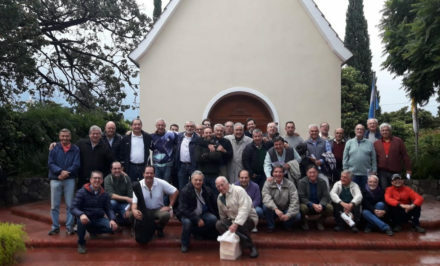 As of now along with God and the Blessed Mother’s message of hope, they have taken palliative care to hospitals, foundations for assistance, shelters, and other sites where the Holy Spirit guides them.The initiative emerged during the year’s farewell dinner for leaders of the Self-education level in which the level leaders, Rita and Wilson Santacruz, motivated them. 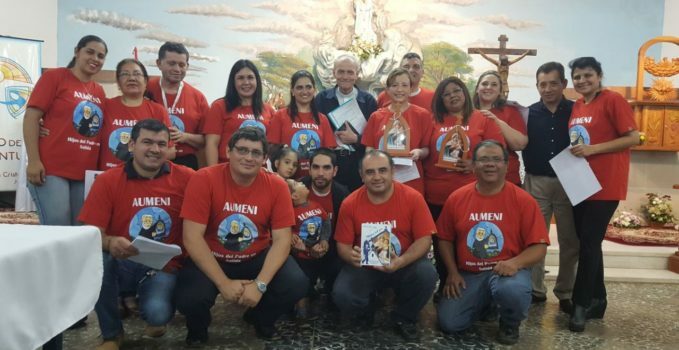 They decided to carry out this mission as a new community of hearts, which since that time, they named Aumeni (that comes from Autoeducados del Mejor Nivel (Self-educated for the best level). 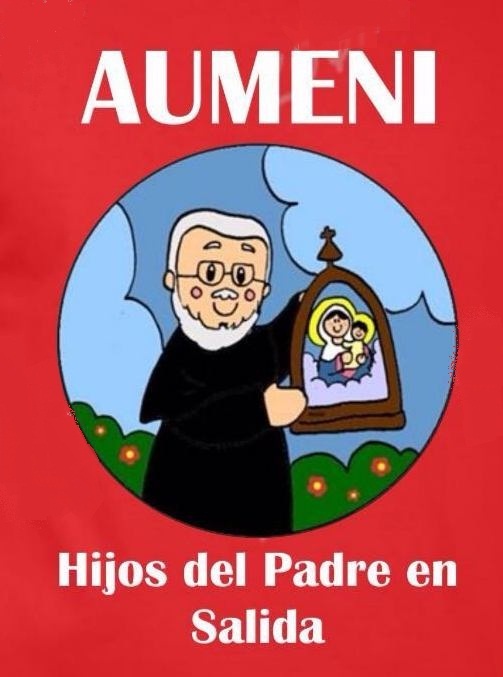 Aumeni’s first mission was carried out at the Fundación San Rafael (hospital) last January, where Fr. 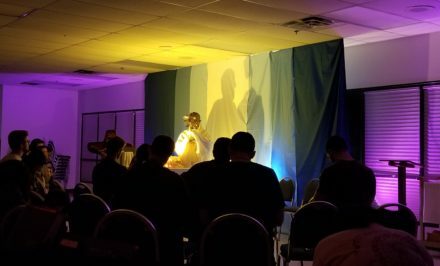 Aldo Trento celebrated and prepared Jesus’s welcome Holy Eucharist. When the Mass ended, the chords to the song, Mary of the Covenant, filled every Schoenstatter that was there with emotion. 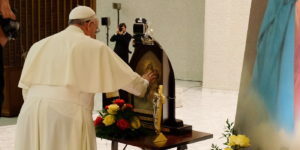 Suddenly a feeling of awareness emerged in all the couples that the Blessed Mother was encouraging them to be her instruments. Christ’s gaze is perceived in the hospital’s patients. Admiration for the work of those that serve every patient was kept in mind as they reflect a real vocation of service in their work, worthy of appreciation. Many of the experiences are indescribable because each person is overwhelmed with joy in action. 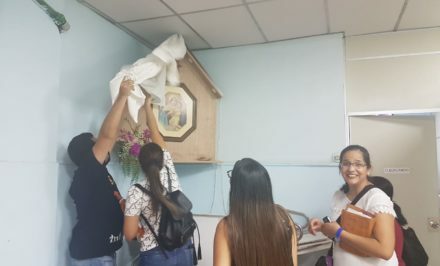 Only some impressions, like the need for prayer and spiritual accompaniment are essential in this apostolate, just as the person in charge of the transitional shelter, Sr. Fausta Massolo, of Fundación Asoleu for children with cancer, commented. 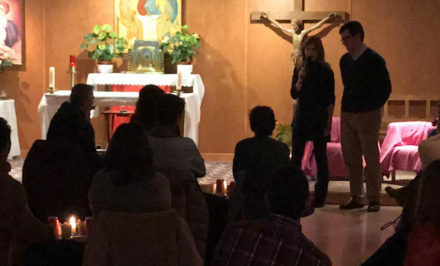 She expressed that the strengthening of the soul is reached with prayer. Currently, more couples have joined that contribute their generous grains of sand to reach those brothers/sisters in great need.